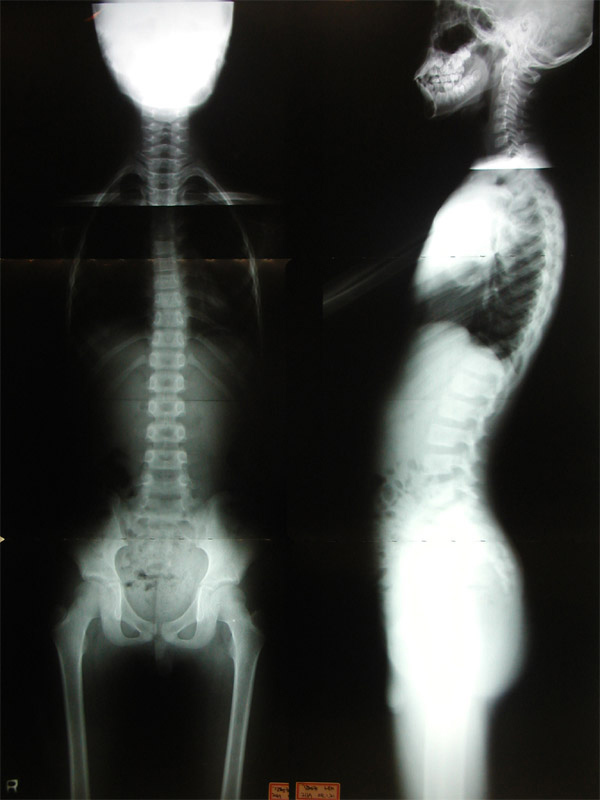 22 years old female came with neck and low back pain and both shoudler soreness. 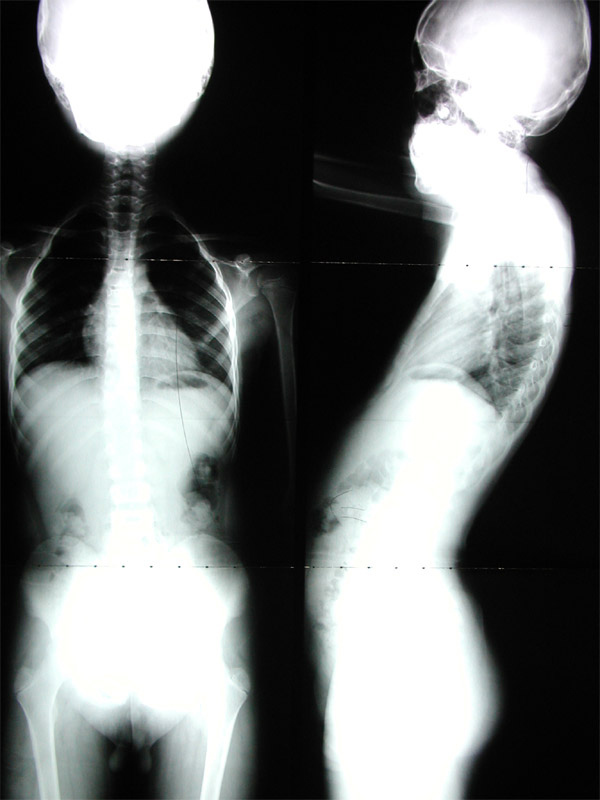 Her full spine X-ray revealed scoliosis and her shoulder level was off. As you can see from the left photo, her left shoulder is higher than right. She will need further care to have leveled shoulder and will need to maintain a proper posture. 34 years old man came with deviated hip to left. The patient had some moderate pain on low back and did not realize this condition until he visited Dr. Paul. After 4 Chiropractic and myofascial release treatments, the pain had been gone and his posture was improved. After 10 visits, X-ray(A-P view) showed a great improvement on lumbar and pelvic alignment. Left photo is before and right photo is after. 29 years old male has a chief complaint of acute low back pain with radiating leg pain and distorted hip. 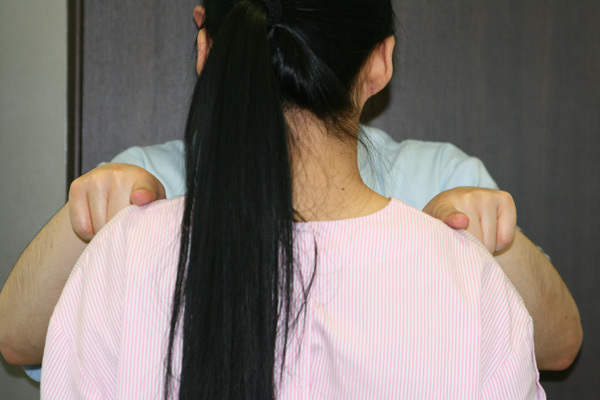 After 3 Chiropractic adjustments and myofascial release(modified Rolfing), patient's posture showed some improvement. However, the patient will be needed further care for his condition. 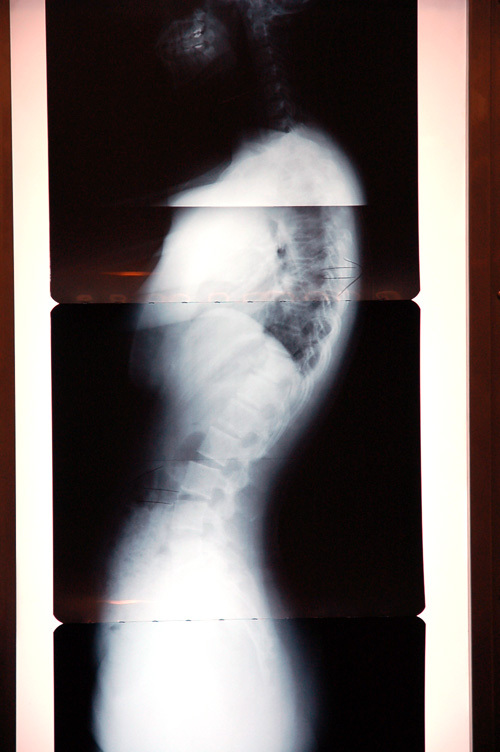 Left side X-ray showed head forward posture, sway mid-back and hyperlordotic lumbar curve. After Chiropractic treatment and Rolfing, there were some improvements. 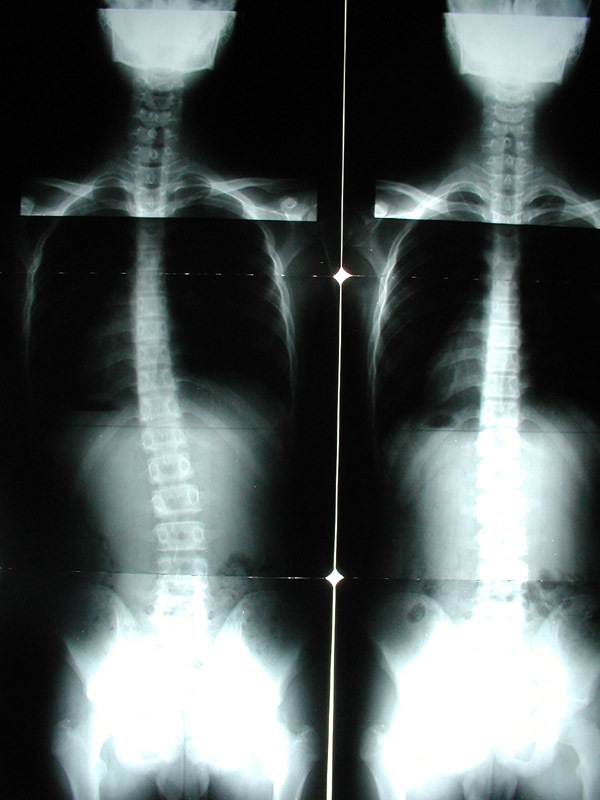 Right side X-ray showed the improvements overall spinal curve(smooth S line). 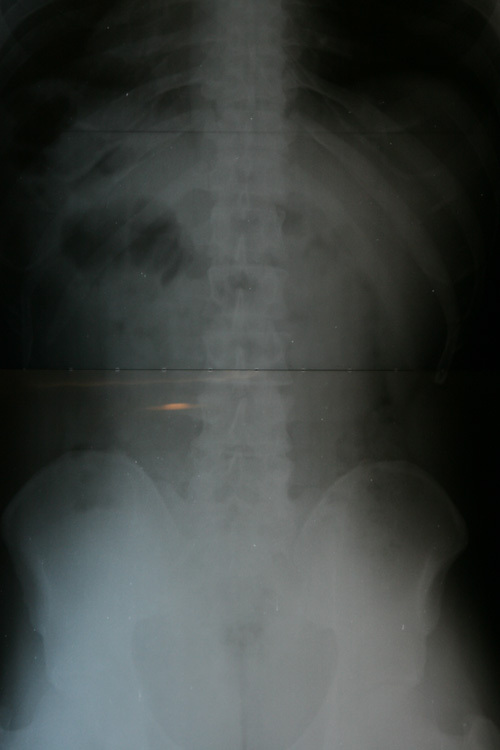 22 year old female had a chief complaint of right pelvic pain with bowed leg. 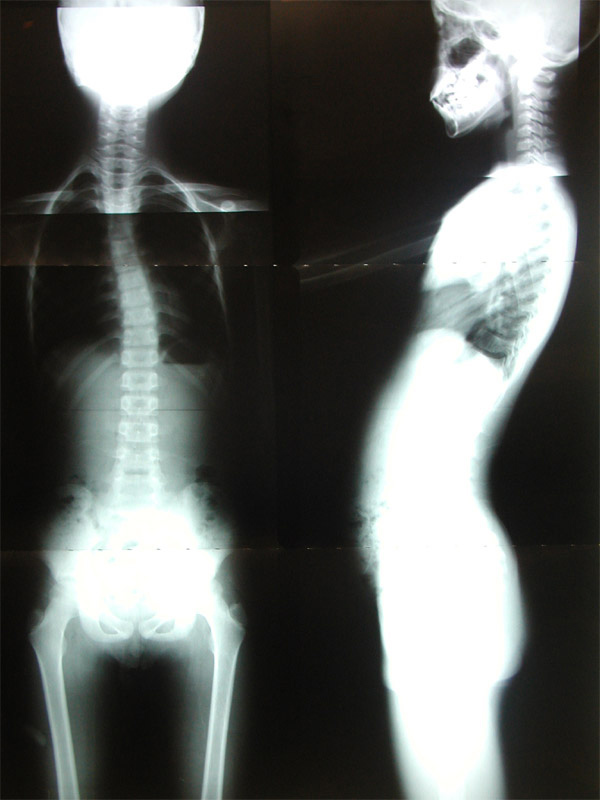 She had the surgery for scoliosis when she was in the middle school. 34 years old man came with acute low back pain and an antalgic posture was due to acute low back pain. X-ray showed some lateral deviation and rotation from the center. 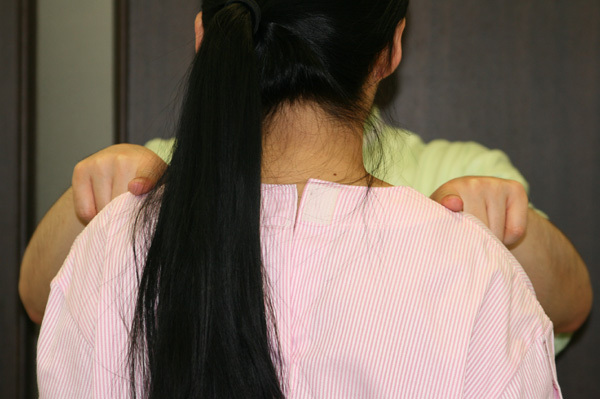 After 14 Chiropractic treatment, pain was gone and the posture was improved. 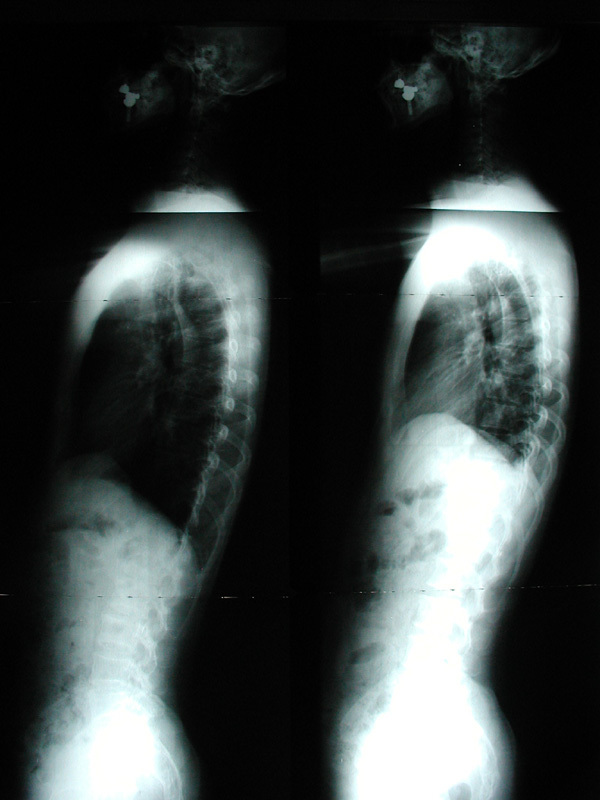 Left photo is AP view and right photo is lateral view. Both left side photos are pre and both right side photos are post. 15 years old boy with scoliosis had a shoulder pain. 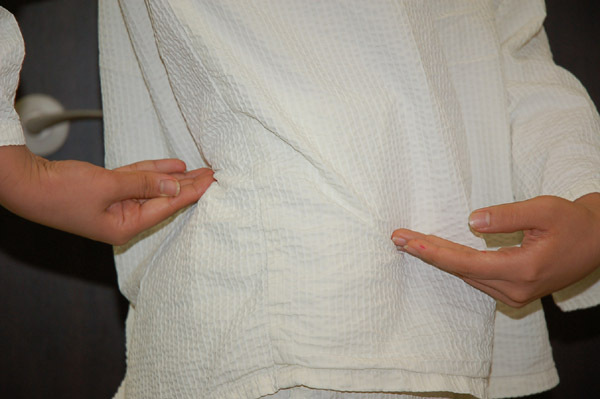 After 15 chiropractic treatment and foot orthotic, the shoulder pain was gone and his scoliotic curve was improved. 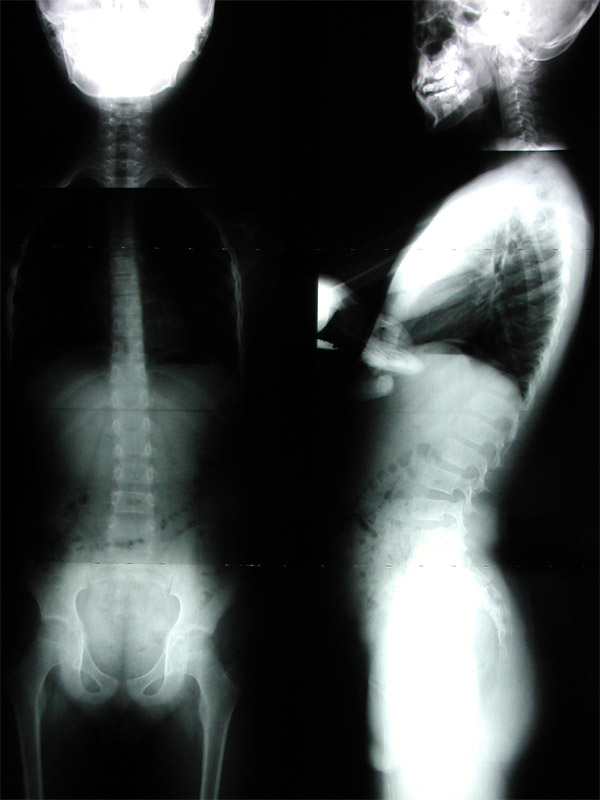 18 years old boy with scoliosis showed a bowed leg. Left side photo is pre and right side photo is post photo after 8 treatment of Chiropractic and Rolfing. 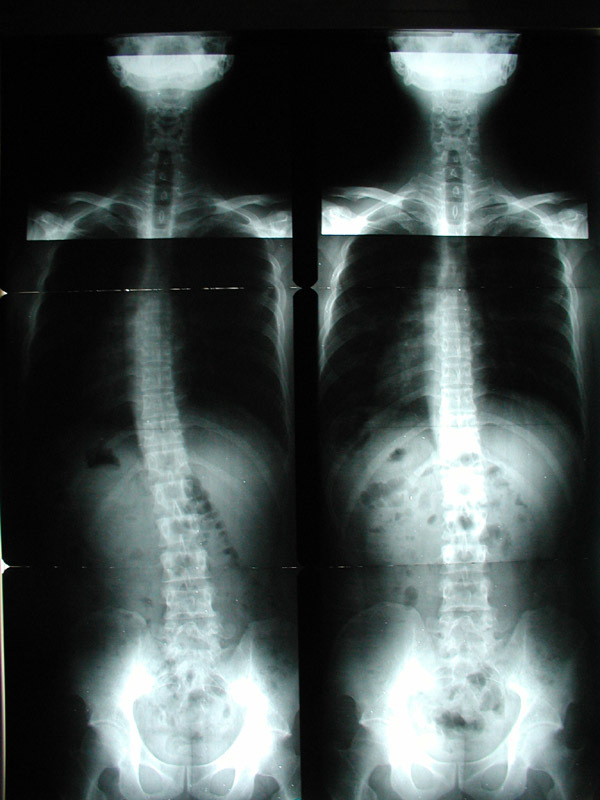 15 years old girl with scoliosis had chief complaint of pelvic, low back, shoulder and neck tenderness. The patient had been treated by Chiropractic, Rolfing, braces and proper walking exercise. Left photo is pre and right photo is post and it showed some improvement. It needs some continous care until the body will adapt to its ideal posture. 10 years odl boy had a some involuntary movement on neck with bad posture. 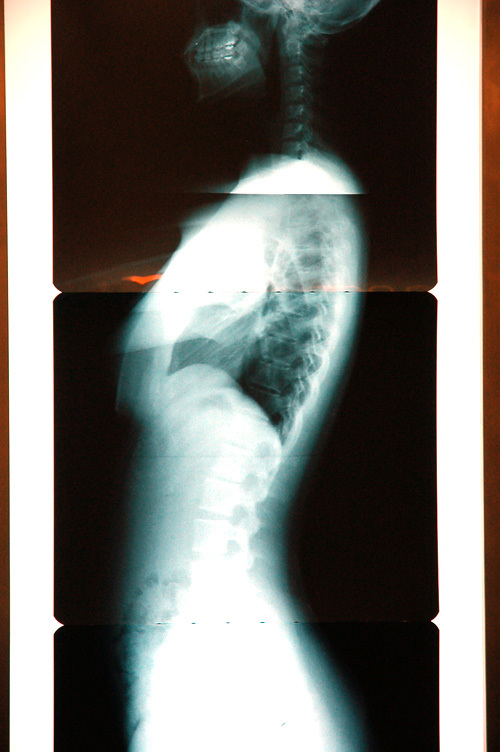 Notice on left side X-ray, there is laterally bent thoracic curve. 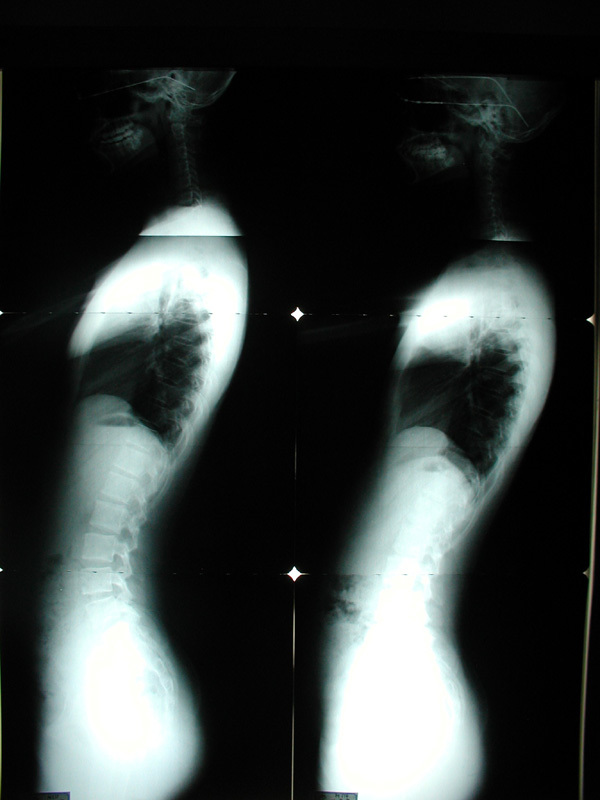 After Chiropractic treatment and foot orthotic, the patient's involuntary movement was gone and the posture was improved. Left X-ray is pre and right X-ray is post. 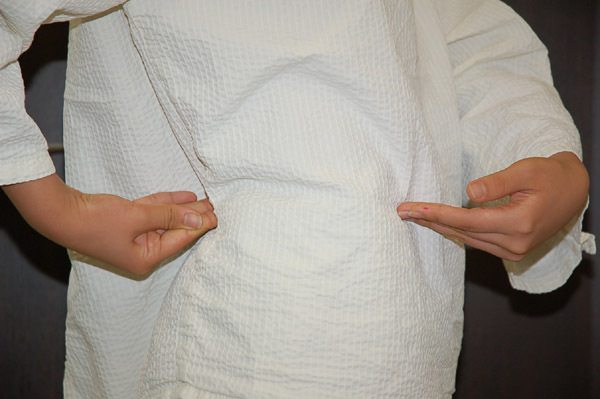 We examed his spine and found a sway back, laterally bended and hyperlordotic lumbar curve. After Chiropractic treatment and foot orthotic, the patient's symptom were improved and spinal curvature showed the improvement. 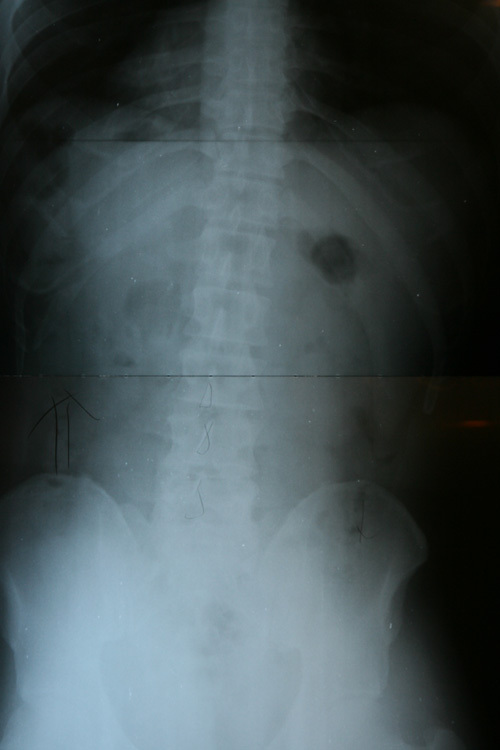 Left side X-ray is pre and right side X-ray is post.